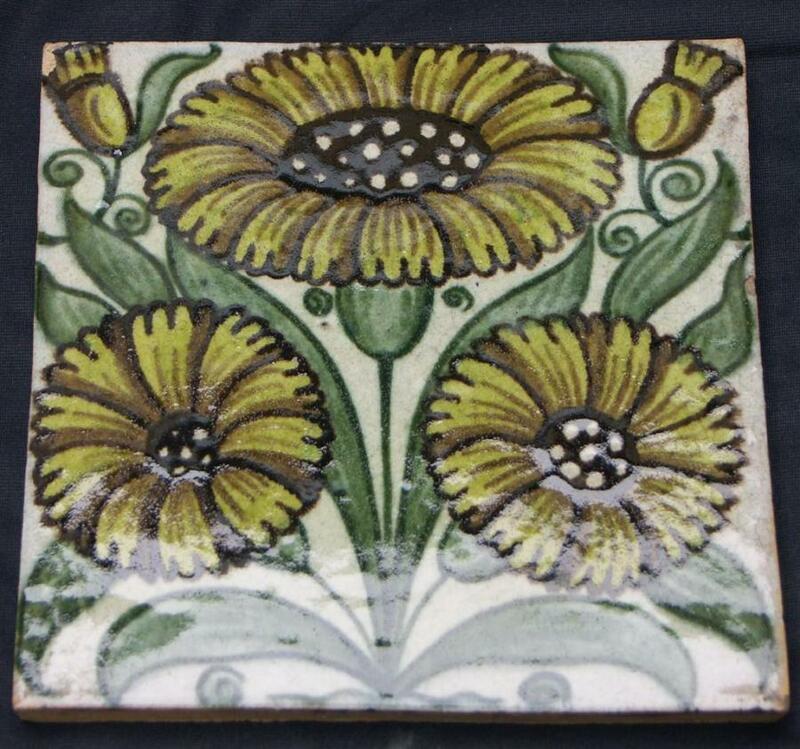 An original set of William De Morgan Bedford Park Daisy tiles in yellow and green.One of De Morgan's earliest designs. 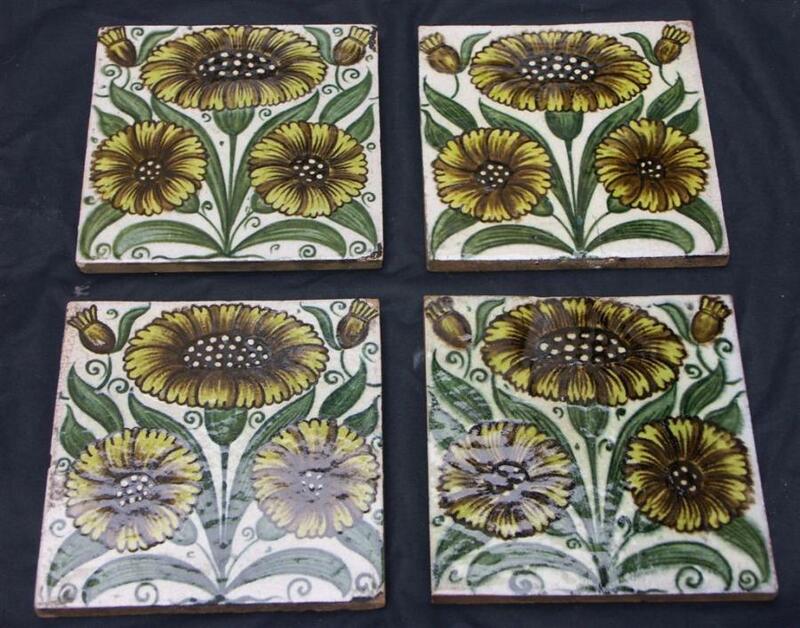 Eight complete tiles and two broken ones.In very good condition with vibrant colours and unworn glaze.With Merton Abbey mark imprinted on backs. More photos on request.Can send worldwide.